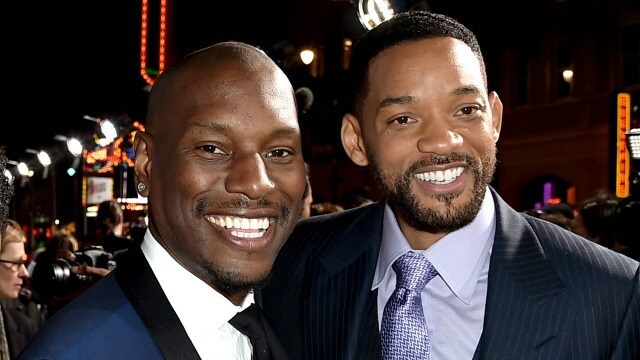 Will Smith and Jada Pinkett Smith has given Tyrese Gibson $5M to stay afloat and solve his issues and asks him to stay off the Internet. This comes after Tyrese's emotional, almost embarrasing video that was released by the Fast and Furious star last week where he talked about his daughter and how broke he was. Yet, Tyrese took to Instagram to thank his famous friends and has since posted on both Facebook and Twitter. Tyrese said on Instagram: "When we show up for each other, there's nothing that can't be done I repeat. My wife kept the news away from me cause I've been on with Lawyers all day but our family and our sister Jada-Pinkett Smith and my brother Will Smith just sent us 5 million dollars to help us afloat." He then reveals the Stars also asked him to stay off the Internet. "...you guys asked me to get off and stay off the internet now that my daughter legal fees will be paid!" But from the look of things, Tyrese can't stop making private things public even when he is being asked to, not even by his own close pal but also by those that help out who probably don't want their action to be out there for public consumption. Tyrese was taken to court by his ex-wife for physically abusing their daughter, but that case has since been dropped.